Even with defensive and safe driving measures, motorcyclists face substantial risks on the road. At Owens Moss, PLLC, we can help motorcycle riders receive the compensation they deserve when they are injured by other drivers. When you select an attorney, it is important to choose a firm who has extensive experience specifically handling motorcycle accidents. There are several important and unique aspects to consider in these types of cases. To learn more about how a motorcycle accident attorney can help you, contact our Jackson, MS, office today. 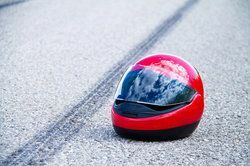 Some drivers associate a stigma with motorcyclists, assuming they are speedsters and dangerous drivers. On the contrary, the large majority of motorcyclists are safe, law-abiding drivers. If you have been injured in a motorcycle accident, there is no reason that you should be treated unfairly due to this stereotype. At Owens Moss we are sensitive to the unique nature of a motorcycle accident case, and are prepared to go to bat for you. It is an unfortunate reality that many drivers fail to look for and see motorcyclists on the road. Many motorcycle accidents occur because another driver fails to yield to a motorcyclist or neglects to follow the rules of the road. Our team of attorneys will carefully investigate the nature of your accident, reconstruct it, and build a case against liable parties. Soft-tissue Injuries - These injuries include strains, bruises, and trauma to muscles, ligaments, skin, and other soft tissues. Cuts, Scrapes, and Rashes - "Road rash" is one term used to describe the scrapes and cuts that many motorcyclists receive as they skid across the road after a crash. Road rash and other cuts and scrapes can be very painful and often result in scarring. Head Injuries - Head and neck injuries are very dangerous because they can compromise the entire nervous system, affecting motor function, cognitive processes, and more. These types of injuries require immediate medical attention. Neck and Back Injuries - When your spine is traumatized, it can affect your nervous system and lead to different forms of paralysis. Disc damage, injury to your spinal column, and broken vertebrae often require surgery and may still not be able to repair paralysis. Broken Bones - Because motorcyclists have little protection surrounding their bodies, many riders sustain broken bones during vehicular accidents. Like any other type of motor vehicle accident, we will ensure that you are fully comfortable with the terms of a settlement. You may receive compensation from insurance companies or the parties responsible for the accident. In many cases, you are entitled to compensation for your physical injuries as well as your mental and emotional suffering, lost wages, future medical bills, and more. Motorcycle accidents can significantly detract from your quality of life, as well as your family's. To learn more about how an attorney with Owens Moss can help you begin healing, contact our office today.